For whose of you that haven't yet gone to the Carnival of Venice, I would like to offer a peek of what it is like, some of the best masks, highlights of the atmospheres. 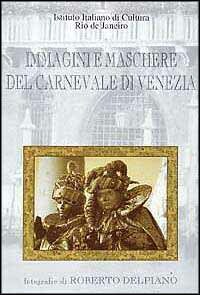 The pictures shown in these galleries were taken during the Carnivals of 1995 and 1996, 1998, 2000 and 2009. Just click on each photo to see it in its full (web relative) glory. sponsored by the Istituto di Cultura Italiana di Rio de Janeiro. sponsored by the Museo Italoamericano of San Francisco. And all these pictures are out for sale too, mainly the rights for printing. You can find the proof sheets of these images and hundreds more in the download section of the site.